March 7: Another derelict house came down on the 15700 block of L Street today, the fourth structure to be removed in three months. Another hazardous structure on L Street will be demolished on Monday, and another two houses on K Street in the next several weeks and months. 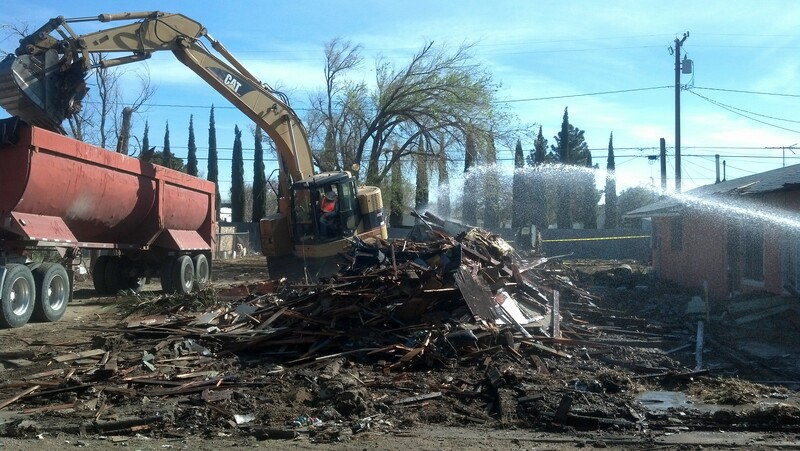 The houses were demolished by Sturgeon Services, a Bakersfield contractor hired by Kern County Code Compliance. Code Compliance has also cleaned and boarded up eight houses since September – on K Street, L Street, M Street, and Mojave Gardens. These buildings are a magnet for drugs and crime, and depress property values in our most vulnerable areas. Demolishing and securing these structures creates space for economic development to take root, and is critical to the future revitalization of this community. The Mojave Foundation is proud to help coordinate and prioritize the county’s demolition and cleanup efforts, and looks forward to raising housing standards in Mojave. 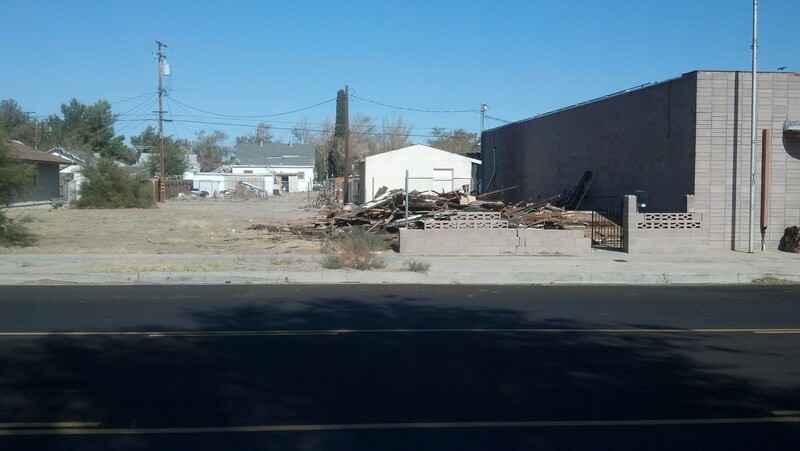 This entry was posted in Beautification, Cleaning up, Kern County Code Compliance, Mojave CA, Quality housing, Safety, Security and tagged Blight reduction, Code Compliance, Demolition, Development, Mojave CA on March 7, 2014 by mojavefoundation.